Xiaomi Mi Mix Price, Specifications, Features, Release Date, Review: Xiaomi famous for manufacturing high specs devices and deliver at the door of the customer is once again ready with another smartphone. 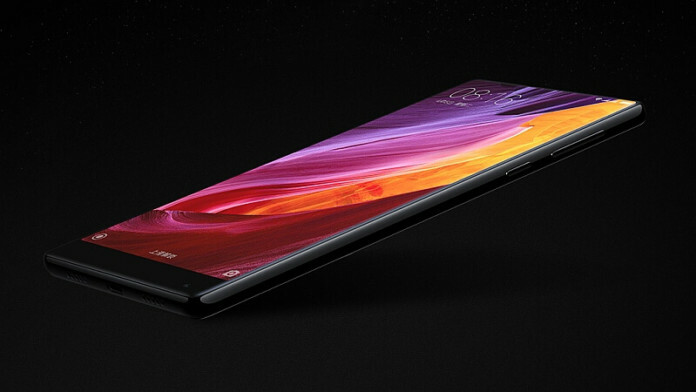 It has unveiled another phone with the massive display, classy edges, and futuristic design. The company is going to unveil Xiaomi series device ‘Mi Mix’. Talking about the specs, Mi Mix has 6.4 inches borderless display with a resolution of 1080 x 2040 pixels and 17:9 aspect ratio. MiMix has delivered 91.3 percentage screen to body ratio. This ratio is very high. Even Apple is offering 67.7 proportion of a screen to body ratio in their latest devices. The company has managed to give round corners with OLED panel which can provide a sharp and crisp image to the customer. Xiaomi is always working on the Bing technology. Check: Best Smartphones Under 15000. This device has no proximity sensor and no hole which can emit any sound. The smartphone uses a new technology piezoelectric ceramics and ultrasonic distance sensor. The working of the piezoelectric ceramics and ultrasonic distance sensor is fascinating and easy. Talking about the body, the device has a full ceramic body including the back panel, front panel, and the buttons. The device is protected by the latest Corning Gorilla Glass 5. the body is radio-transparent. Since the phone has the ceramic body, it runs much cooler than all the other smartphone under a heavy workload. The device is powered by Qualcomm Snapdragon 821 (SD 821) which is running at 2.35 GHz. The processor is coupled with 4 GB and 6 GB of RAM. The internal memory offered with 4 GB RAM variant is 128 GB, and internal memory available with 6 GB RAM is 256 GB. The device is powered by 4400 mAh battery. Review. The device also supports Quick Charge 3.0 support which instantly charges the phone. Talking about the connectivity, Mi Mix also offers NFC, 4G LTE support and Wi-Fi 802.11ac. The new payment method launched by Xiaomi, Mi-Pay is also supportable on the upcoming smartphone. There is a 16 MP primary camera on the back side of the device. The main camera offers PDAf and records 4K video recording. On the front, there is a 5 MP shooter for capturing selfies and for the video calling purpose. It is a dual SIM smartphone which supports 4G network. The 4 GB RAM variant is priced at $515, and the 6 GB RAM variant is priced at $590. Hope both the devices satisfy the customers. Stay tuned to The Reporter Times for latest smartphone news and other tech updates around the world. Don’t forget to share.